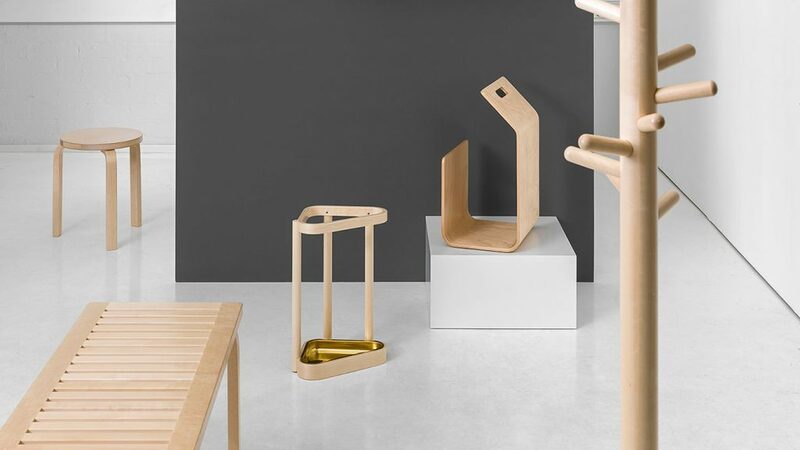 Unique among the current Artek collection, this umbrella stand brings together birch and brass in a structure composed of three solid birch pillars united by two hand-bent lamella loops. 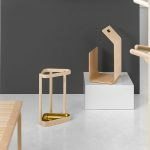 The particular lamella loops used in the creation of Umbrella Stand 115 require the strength of two people to bend and come with a single seam. Fitted inside the triangular base, a brass pan catches any falling drops of rainwater. Over its lifetime and as a result of use, the brass will develop a rich patina all of its own.